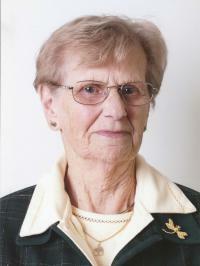 Bertha Opdenkamp of Edmonton passed away peacefully with her family by her side at the age of 89 years. Bertha will be lovingly remembered by her daughters, Sandra Opdenkamp and Joyce Coffey (Rob Cummings); grandchildren, Jessica (Simon) Bow, Kristen Coffey (Adam Goudreau) and Bryan Coffey and their father Fred Coffey; sister, Nel van der Pauw Kraan of Holland; brother, Neil (Ann) VanderZwan of Sundre; many nieces, nephews and friends. She was predeceased by her husband, Wilhelmus in 1981; father, Jan Theodoor van der Zwan; mother, Geradina Cornelia (nee: Schalkwijk): siblings, Johannes Jacobus “Jan”, Adrianna Gertrudis, Adrianna Gertrudis “Shan”, Wilhelmus Nicolaas “Wim”, Johannes Jacobus “Yap”, and Theodoor Jan “Theo”. A Memorial Service will be held on Sunday, January 10, 2016 at 2:00 p.m. at Foster and McGarvey Funeral Home, 10011 - 114 Street, Edmonton. Memorial donations in memory of Bertha Theresia may be made to the Heart and Stroke Foundation.